I coloured her with my favourite medium (so far, lol! ), Prismacolor pencils with odourless solvent and blending stumps. 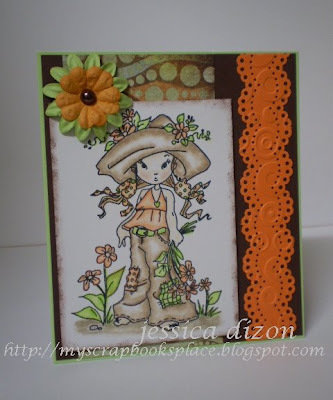 The card turned out to be so sweet and sassy (just like the name of the image). A Beautiful card Jhet!!! I love the colours and your colouring!!! The BG Bittersweet papers are available in Australia,I got them at my local scrapbooking store.